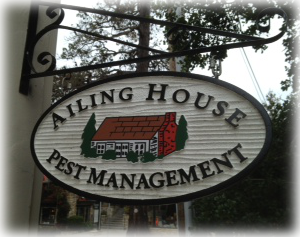 Carmel’s Family-Owned and Managed Pest Management Company | Ailing House Pest Management, Inc.
Ailing House Pest Management, Inc. has been serving Carmel and the entire Monterey Peninsula for generations with the most advanced termite and pest control services available. From day one, our mission has been to provide expert treatments along with convenience and a friendly smile. Today, we remain steadfastly focused on offering innovative pest control combined with personalized service. Family-owned and operated, we offer both residential and commercial pest management solutions. Our principal Tony Crivello has more than four decades of experience and is dedicated to serving both local residents and businesses in Carmel and the surrounding areas. 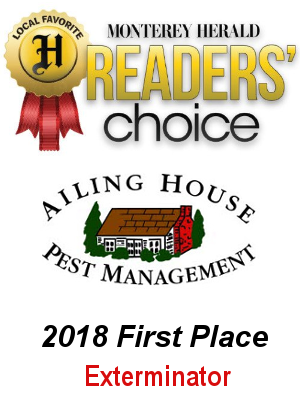 With Ailing House Pest Management, Inc., you always get a licensed, experienced technician who understands the local environment and what is needed to keep your property pest-free. With more than a century of combined experience, our team is ready to answer your questions, provide the best pest control treatments, and ensure that you always receive reliable, affordable service. Our pest management specialists have the training, experience, and tools to tackle even your most challenging pest problems. We never make suggestions for treatments that don’t solve your pest control problems. Rather, we have a vested interest in your satisfaction and only provide cost-effective, environmentally-conscious solutions that protect your valuable property. Our specialties include immediate help for urgent pest control problems along with preventative strategies for eliminating the long-term risk of pest problems. Let us provide you with a comprehensive inspection, advise you on your treatment options, and then get the job done. Schedule a free pest or limited termite inspection. Call us for a free inspection at 831-624-8211. Don’t let pests take over your home or business. Call us today.